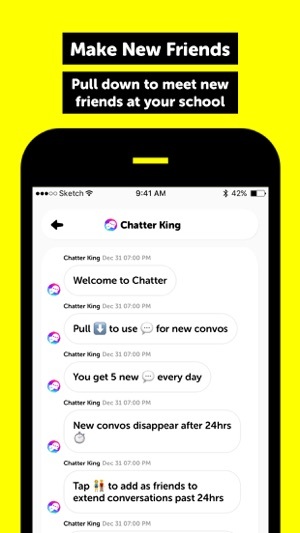 Chatter is lightest and most genuine way to chat with everyone at your school. Your School Network - Talk about real things with people at your school. 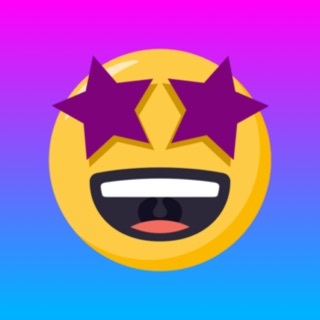 Send anonymous chats to people at your school to say what you want to say. 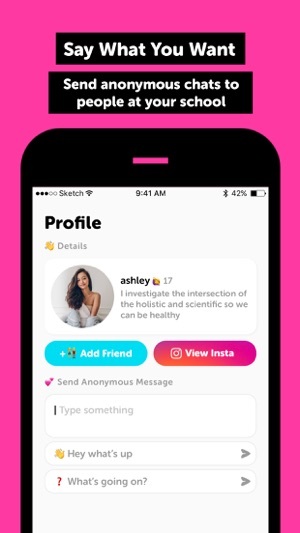 See Who’s Into You - Share your profile link on Instagram, Snapchat, or anywhere else to get anonymous messages. Make New Friends - Pull down to meet new friends at your school. After college, it has always been difficult for me to make new friends and form connections like I did before. 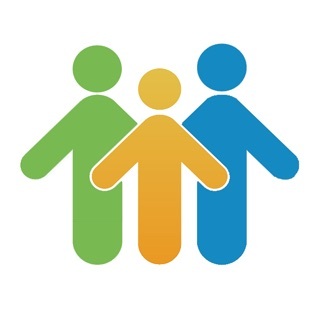 But with the help of the app, I've been able to reconnect and stay in touch with a lot of my friends from my childhood. 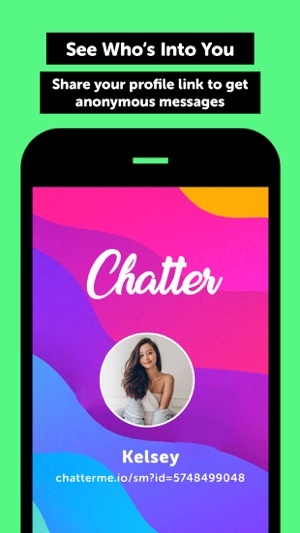 The app has long-form chat rooms included where I've been talking and engaging with a lot of people on a wide range of topics. Some of these people agree with and some of these people I don't agree with but all of it has been great fun. I've made a lot of new friends from being a part of these forums on the app and we've been emailing back and forth about a lot of different ideas we have.